Home » Business & Economy » Two narratives are being sold to us on GST in a Rahul vs Modi showdown. Which one is correct? Two narratives are being sold to us on GST in a Rahul vs Modi showdown. Which one is correct? Rahul Gandhi vs Narendra Modi: Who is right on GST? As the Gujarat and Himachal Pradesh elections draw closer, Congress Vice- president Rahul Gandhi is locked in a war of words with Prime Minister Narendra Modi. At stake is the image of the latter, who is trying to convince the world that economy under his government is set to take off. It is another matter though that this has not happened in the past three years under BJP rule. But on 26 October, both leaders were in Delhi - at different events - and spoke for and against the goods and services tax (GST). Modi, in his speech delivered earlier in the day, said that the GST would benefit consumers, the poor and the middle class, while the Gandhi, speaking in another conference in one of the business chambers accused the Modi government of killing the economy through a "double tap" of demonetisation and a "badly conceived GST". Gandhi has been relentlessly attacking the GST in his political rallies and has been coining terms like 'Gabbar Singh Tax'. Let's take into account Modi's arguments in favour of the GST. Will Modi's prognosis come true? The 'one nation, one tax' regime, in its current form, was envisaged to improve efficiency in the economy by way of bringing more traders under the formal economy. However, as things stand today, small businesses are finding it difficult to accommodate themselves in the new tax regime. Instead of increasing competition in the market, thousands of smalls traders are facing the threat of losing their business to the big companies. 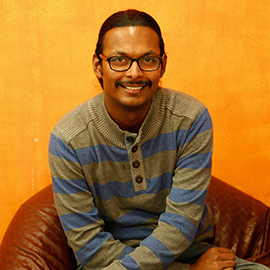 A small trader is forced to file 37 returns per year. More so, there are four different tax slabs with highest rate at 28%. It is hard to fathom how four different tax slabs with highest pegged at 28% will bring the price of commodities down. As far as competition is concerned, a majority of small traders have been losing their business and reducing their workforce. The SME sector accounts for 95% of industrial units in the country and contribute 40% value addition in the manufacturing sector. The poor class that Modi likes to talk about in his speeches are part of the informal economy and earn their living by working for SMEs. It is this section of the working class that has been hit the most due to GST. The same segment of the economy was at the receiving end of the demonetisation move that destroyed 86% of the currency in circulation in November last year. Who is likely to benefit more from GST? Over the last year, even as the growth in India's GDP has declined, Indian stock markets are at an all time high. But the fundamentals of listed Indian entities have not been good for sometime. According to a Business Standard report published on 16 October, the price to earnings multiple (on trailing basis) has now almost touched the previous highs. The price-earnings multiple is the ratio for valuing a company that measures its current share price relative to its per-share earnings. The report says, that on 13 October, “the Nifty was trading at 26.4x its underlying trailing 2 months' earnings per share of Rs 385. The index peaked at a P/E multiple of 28X, both during 2008 and the peak of the dotcom boom in 2000. What this near all time high P/E multiple suggests is that the listed companies in India have been posting poor earnings, yet their stock prices have been rising in the exchanges. It happens only when there is a belief that the future earnings will go up substantially. This will happen only when some competition from the informal economy gets wiped out and that business shifts to the formal sector companies. The pro-organised sector economists, experts and journalists have been writing in favour of the death of the informal economy in the country. What Jagannathan - a strong advocate of the big-players-economy - has offered as a defence to Modinomics is essentially the real philosophy behind GST. That only the fittest should survive. Since the GST has a higher compliance cost, those at the lowest rung in the revenue generation chain will not be able to cope with the new structure and will shut their businesses. But the question here is, can India generate enough jobs for Indians by having only big companies in the economy? The statement from Jaitley should be taken as a realisation from a person who oversaw the formation of a tax regime that is inherently against the small companies. Realising the disaster the GST in its current form has turn out to be, the government is introducing cosmetic changes every month. From increasing the revenue threshold for offering composition scheme to small traders to reducing tax rates on random commodities. Such measures hardly help the poor and the middle class. PM Modi must realise that the GST will help the poor and the middle class only when it helps the small traders. They generate jobs in the economy and provide purchasing power to crores of people in the country. If they get destroyed, so will the Indian economy. TWEET THIS Rahul Gandhi and PM Modi are locked in a war of words over GST. 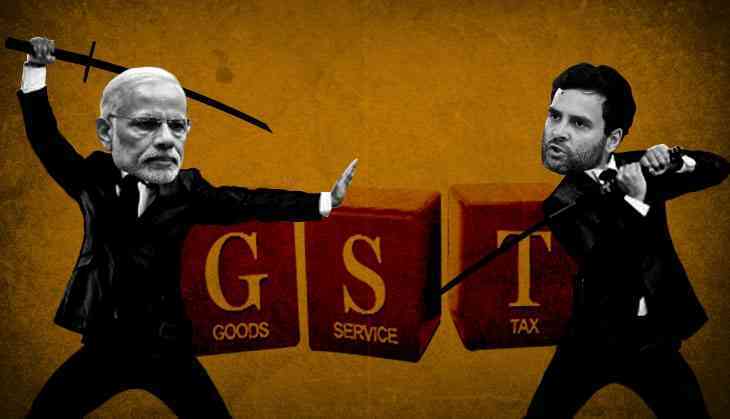 Here's the real story Rahul Gandhi vs Narendra Modi: Who is right on GST?